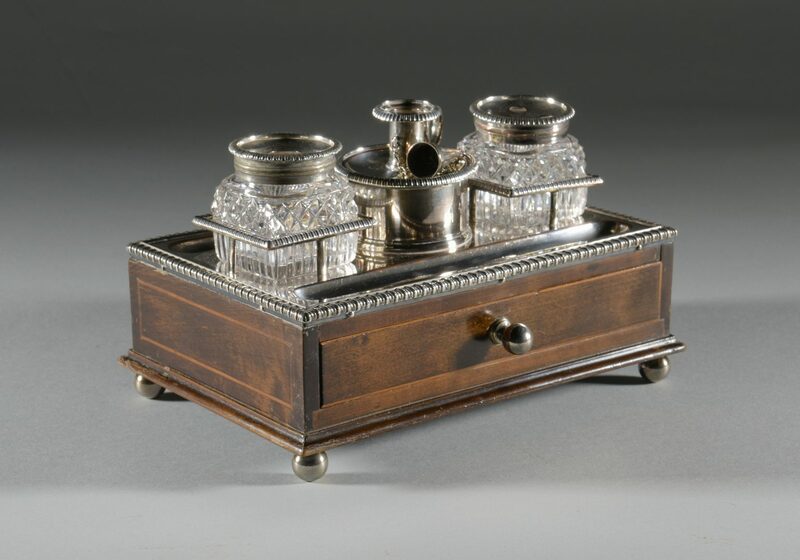 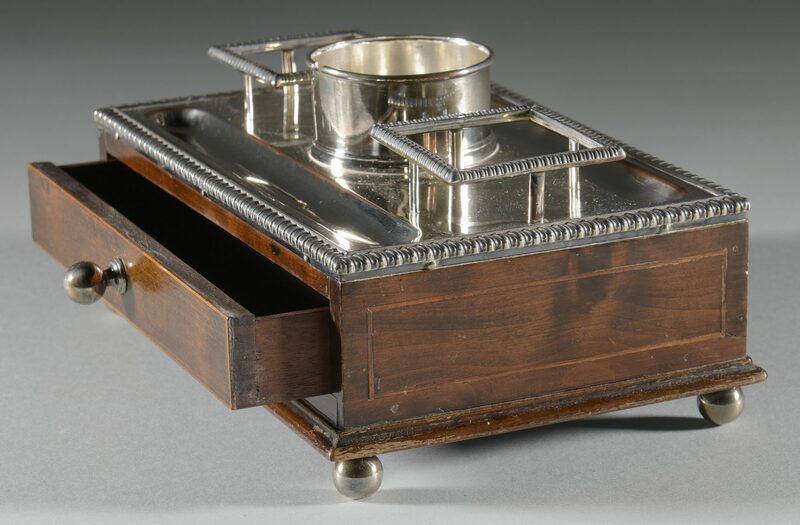 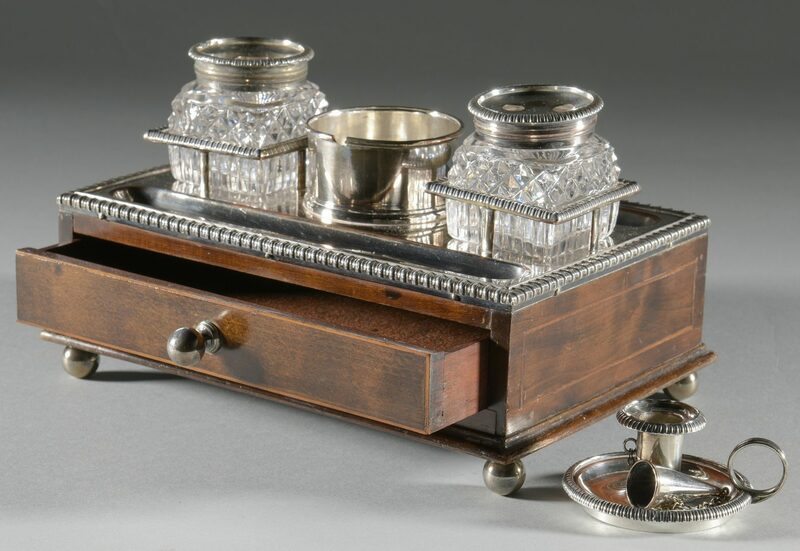 George III or Regency period Old Sheffield-mounted inlaid mahogany writing box with blind dovetailed drawer and silver knob, resting on silver bun feet, the top clad with ink stand having square cut glass ink well and sand pot, and a round water pot topped with a taper candle stick holder and snuffer, between two pen trays; all silver elements accented by gadrooned edges. 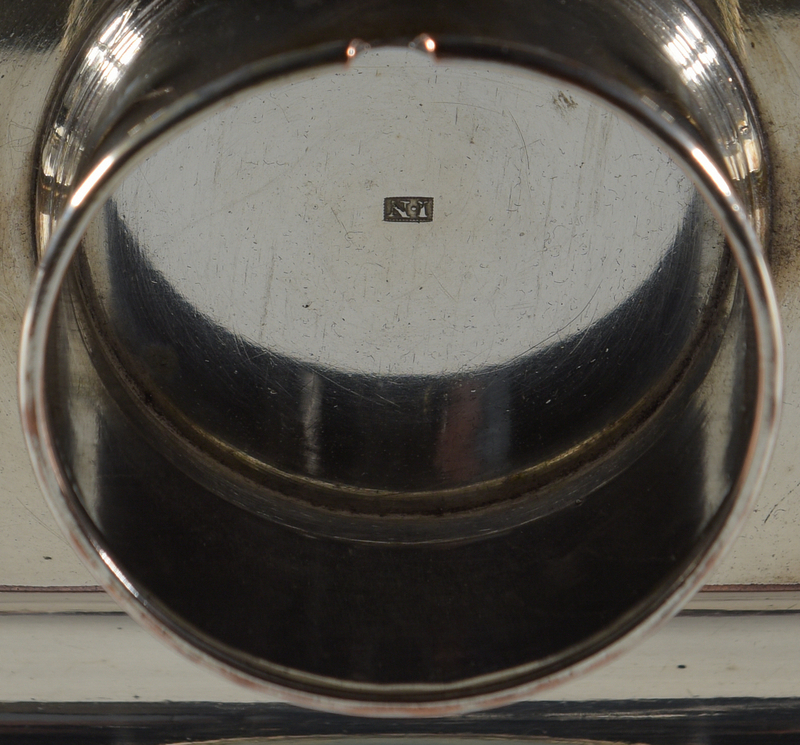 Interior of water pot stamped I N, in serrated rectangle. 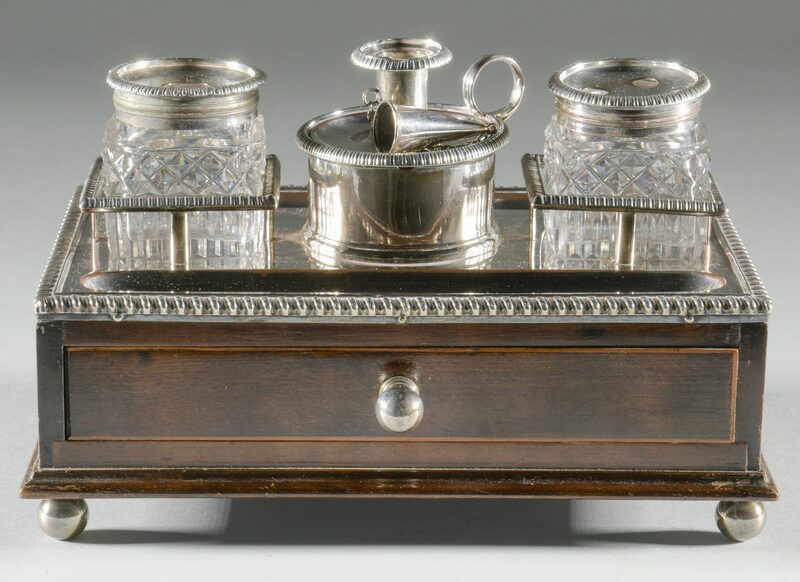 6 3/4" H x 9 1/2" W x 6 1/4" D. Provenance: The estate of Dr. Benjamin H. Caldwell, Nashville, Tennessee, acquired from the late Dr. Lowry Dale Kirby, Nashville, Tennessee. 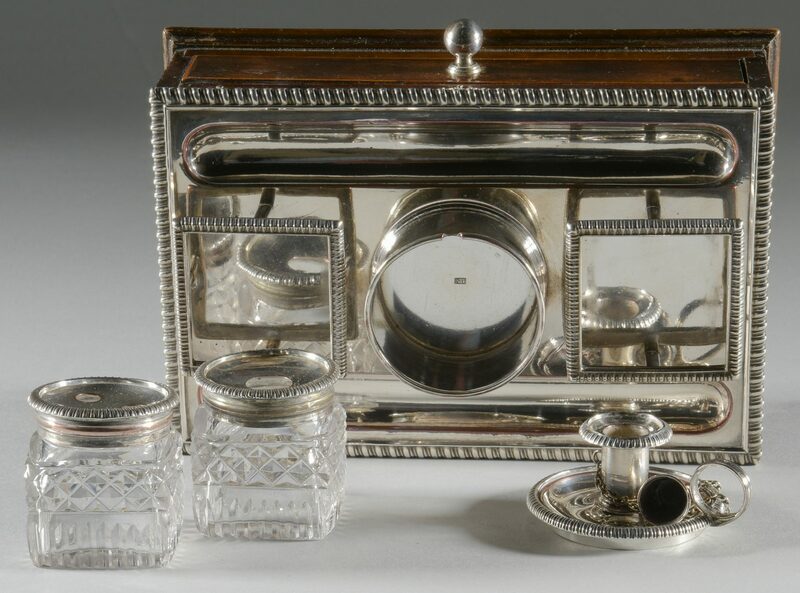 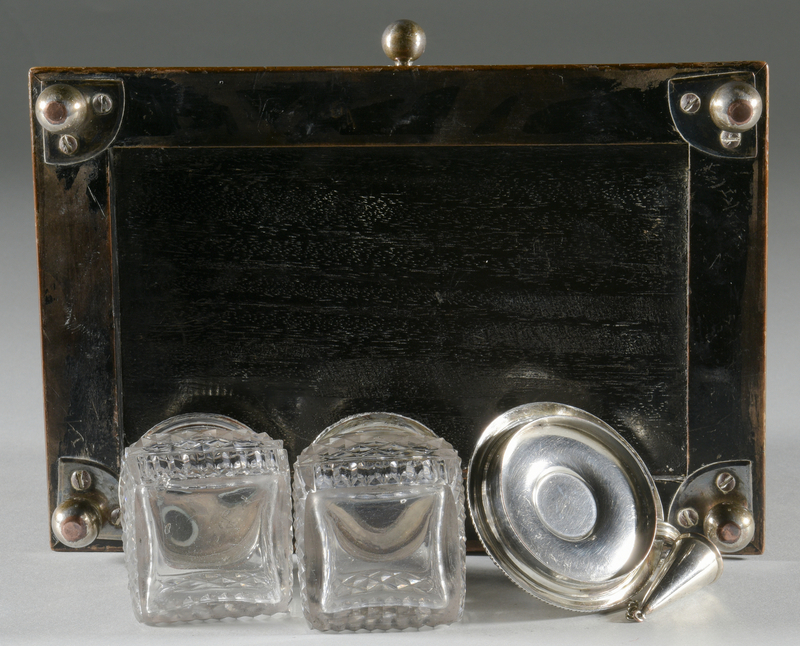 Note: Several objects from the late Dr. Kirby's silver collection are now in the collection at Colonial Williamsburg in Virginia. 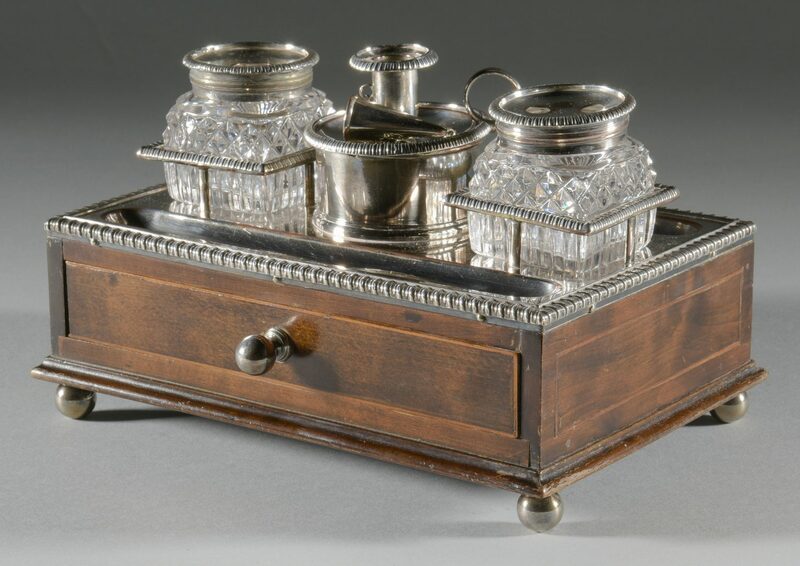 CONDITION: Few minute chips to glass receptacles, some minor wear showing pink at edges of pen wells, light wear to exterior edges, overall very good condition.